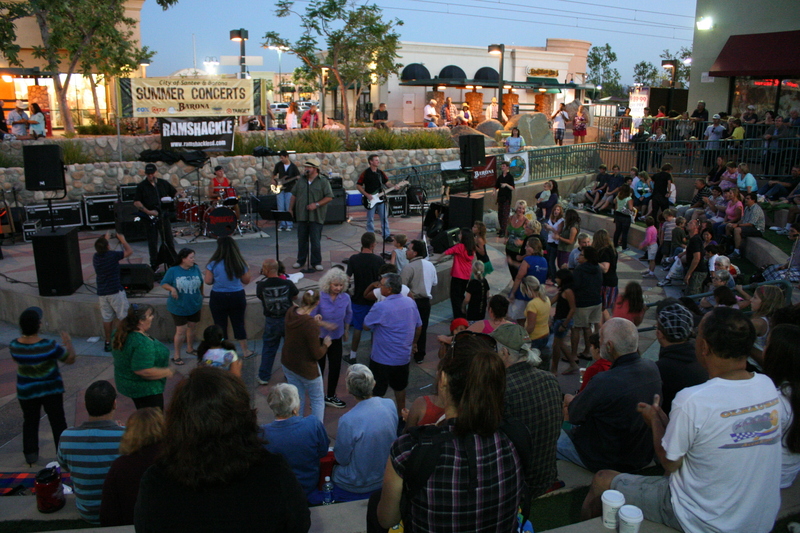 The annual Santee Summer Concert Series is back once again with great music and fun times – but with a new venue. 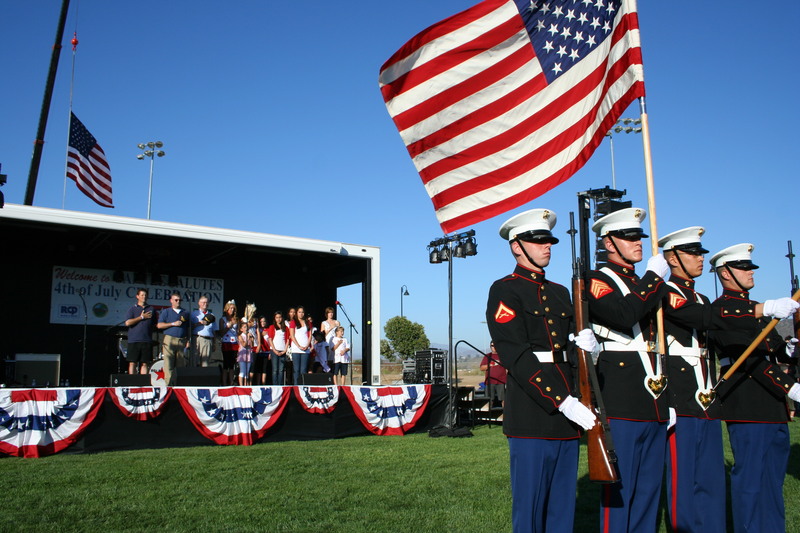 This year the series has moved from the amphitheater atTrolley Squareto the stage at Towne Center Park East. The new location is at550 Park Center Dr., just east of the Cameron Family YMCA. 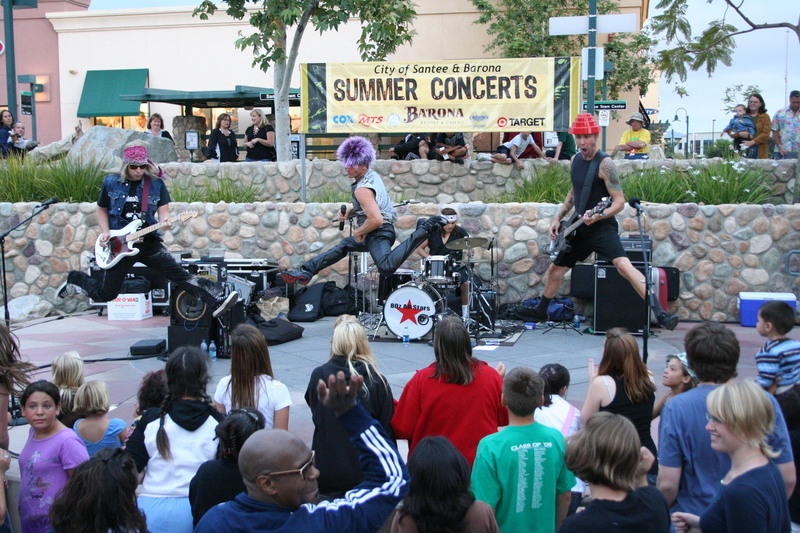 The two-hour concerts are every Thursday night (except July 7) beginning at 6:30 p.m. Although there have been some complaints about the move, the city is working to make the new site as much fun as the old. 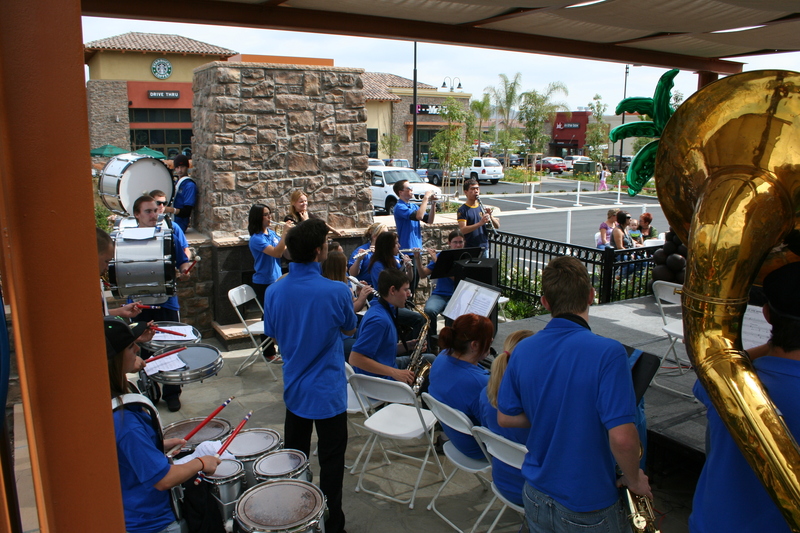 One of the main complaints about the new location has been about food – because the old venue was surrounded by quick-stop restaurants, music fans would come early, buy dinner, and then eat and enjoy the music. There will be food available at the new site, although not with quite the same variety. The on-site snack shack will serve up traditional food such as hamburgers, nachos, and sodas, and will add specialty items to the menu each week. Of course, if you want to bring your own snacks, that works just as well. All concerts are free to the public. 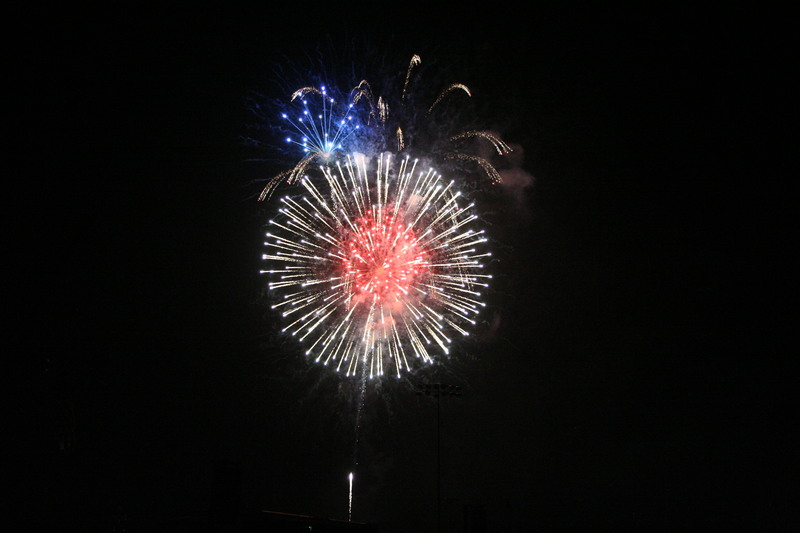 For more information visit the City of Santee’s Special Events page. 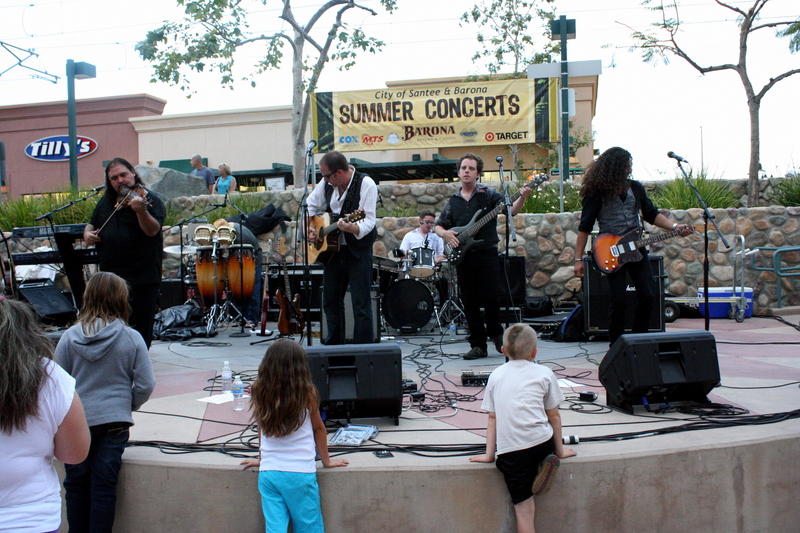 The annual Santee Summer Concert Series has come and gone, and once again hundreds of residents and visitors came out to listen to a wide variety of music. 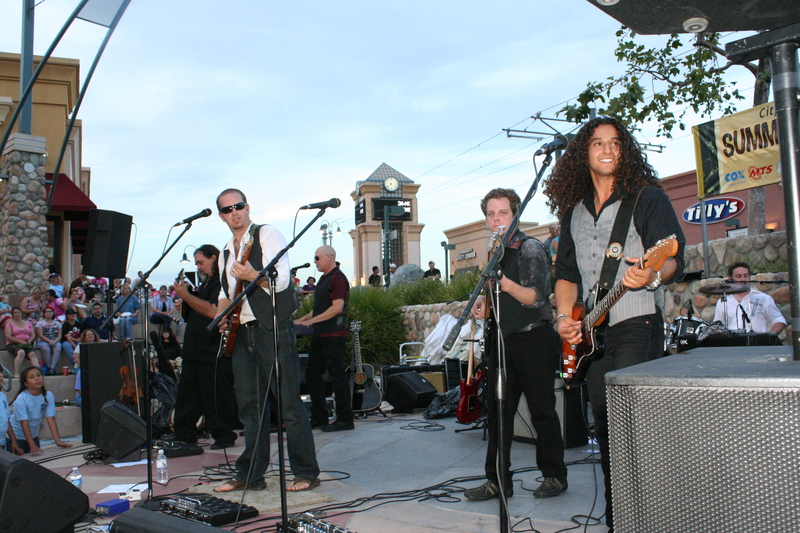 From Classic Rock to Country to Zydeco, the sounds of popular local groups entertained the large crowds that filled the Santee Trolley Square amphitheater and surrounding plaza. 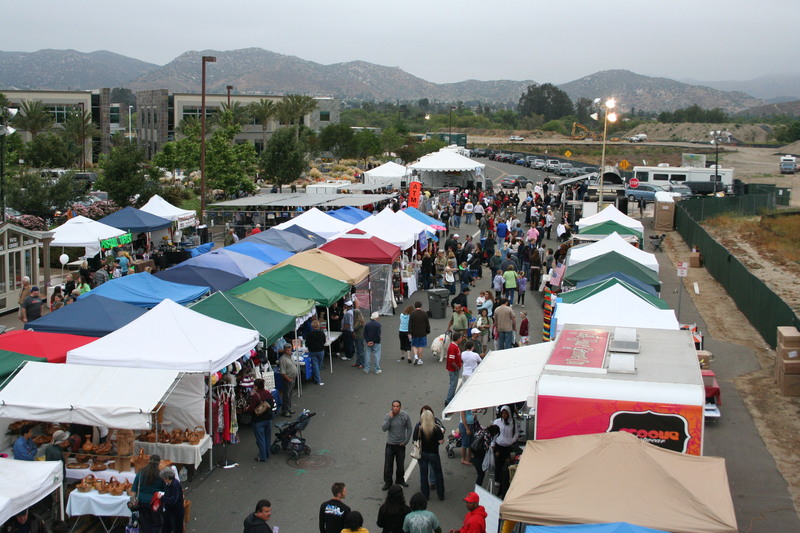 A big round of thanks has to go out to the City of Santee, lead sponsor Barona Resort and Casino, and supporting companies Target, Cox Communication, Daphne’s Greek Cafe, and MTS. Without the city and sponsors, summertime Thursday nights would not be as much fun. The series was not without a few problems. Two groups, the US Navy bands Destroyers and Crucero, were forced to cancel due to unforeseen circumstances but their spots were ably filled by Ramshackle and ACME Rhythm and Blues. There were also issues with weather and equipment, but through it all bands persevered, fans waited patiently, and everyone had a good time each night. This year I was not able to make it to as many concerts, but I wanted to share photos from the three I did make. 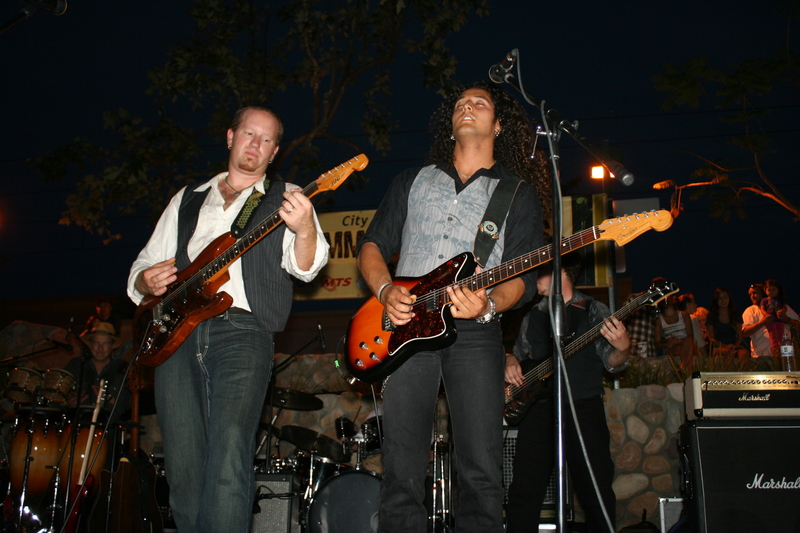 In July the Clay Colton Band brought their mix of Country, folk, and Irish music to the series. 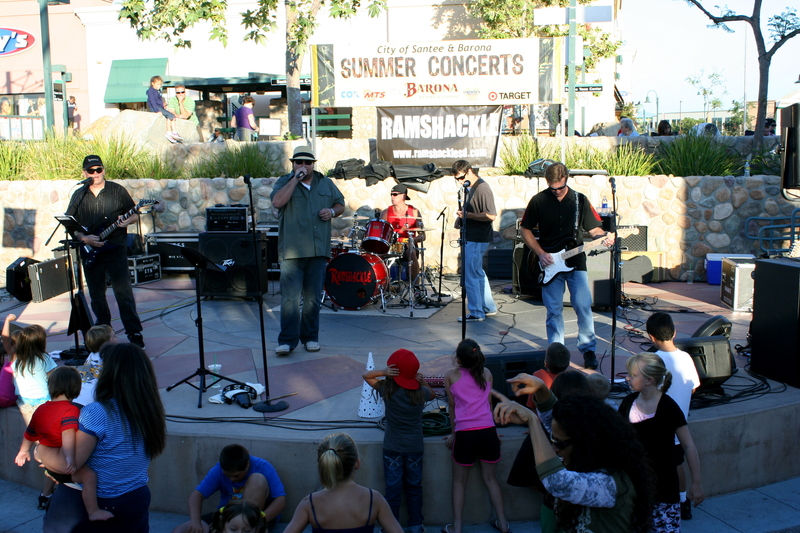 I especially enjoyed their cover of the Eagle’s classic “Hotel California.” Then in August, Santee’s own Ramshackle came in for the US Navy Destroyers and rocked the house with their covers of great modern rock songs such as Tom Petty’s “I Need to Know” and the Romantics’ “What I Like About You.” The series went out with a roar when the Cat-illacs brought their Classic and Modern Rock show to the stage. 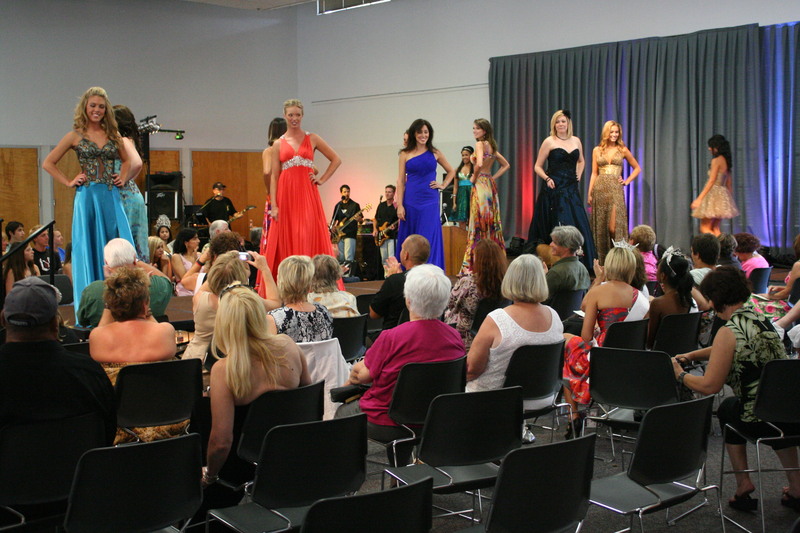 I would be remiss if I didn’t mention the Miss Santee queens and court who acted as gracious hostesses for the series. Thank you to Miss Santee, Kimberly Swank, Miss Santee Teen, Taylor Shelton, and the runners up for all you do for the city. Enjoy some pictures from three of this summer’s concerts. 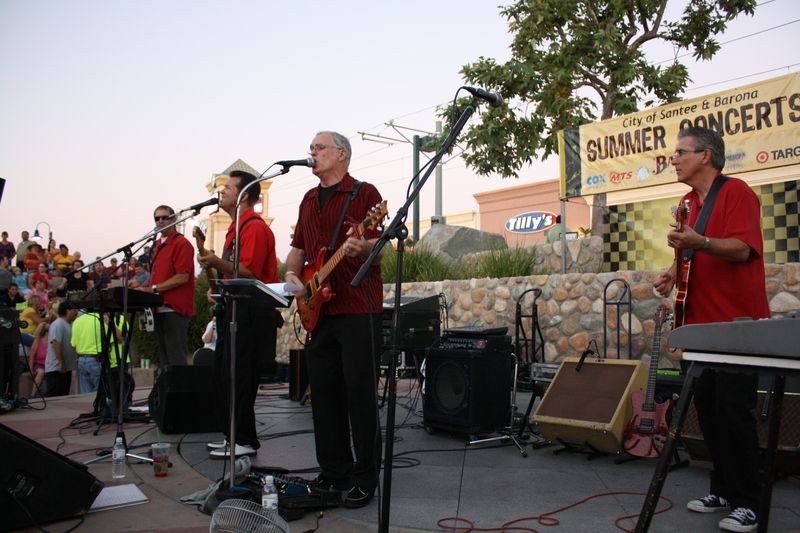 Last Thursday, August 13, the Bayou Brothers brought the sounds of New Orleans to the Santee Summer Concert Series. Cajun music and zydeco were the order of the evening, with a heaping side order of audience participation as local kids got the chance to play rhythm along with the band. Although the crowd was not as large as some others this summer, folks were having a good time. The dance area was full most of the evening, and an enthusiastic dance line formed during the last few songs. Many couples seemed to be well-versed in Zydeco dancing (you can see a video on basic Zydeco dance on their home page), and there was even a dancing crawfish in the crowd. The Bayou Brothers (and one Sister) seem to have a core of members with other musicians moving in and out. According to their website, the regular members who played this time were John Chambers on keyboard and accordion, Ric Lee on drums, and Jessica Stull on rubboard. Also on hand were Tim Cash on bass and a lead guitarist from Santee whose name I unfortunately missed (please let me know if you know his name). 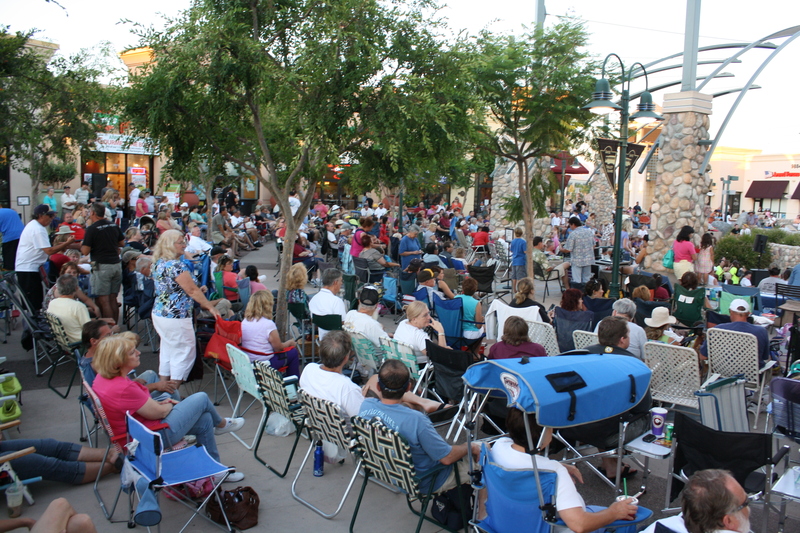 The final concert in the series is this Thursday, August 20, when The Corvettes bring their mix of Doo Wop and Motown sounds to the Trolley Square amphitheater. Be sure to get there early if you want a good spot. A little late, but let’s see what’s happening the rest of the week. 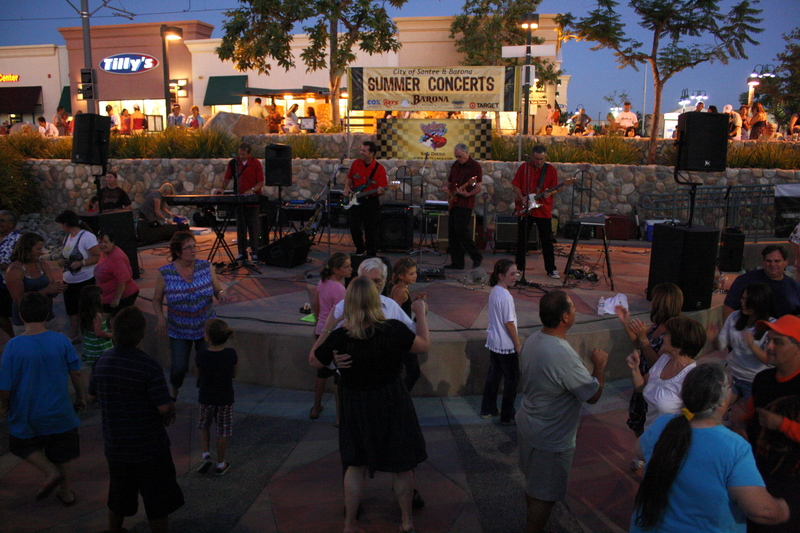 Santee Summer Concerts: Thursday, August 20, the final concert in the series features The Corvettesand their Doo Wop and Motown sounds. 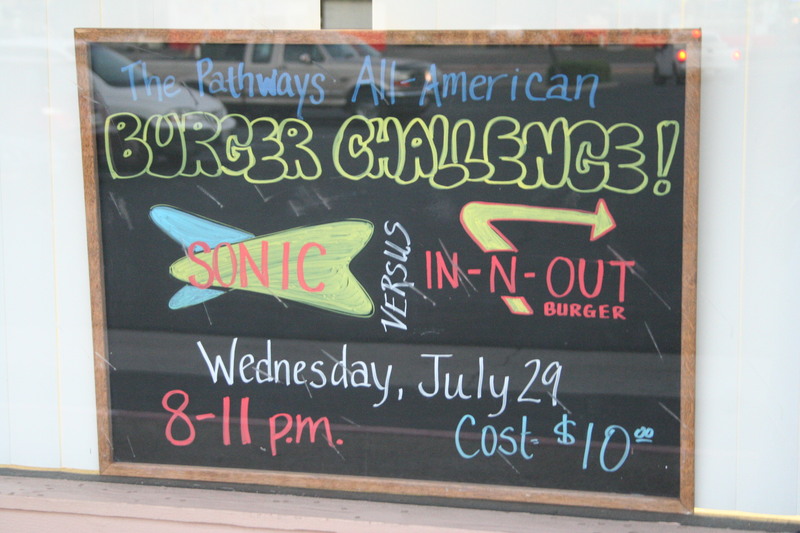 The fun starts at 6:30 pm and goes until 8:00 pm. Sunrise Santee: Tuesday, August 18, at the Santee Hometown Buffet (275 Town Center Parkway, across the parking lot from The Home Depot), beginning at 7:25 am. This is a monthly mixer sponsored by the Santee Chamber of Commerce. This month’s speaker is Amy Keefe of Cox Business. Cost is $5 for breakfast and $1 for raffle and 50/50 drawing. After-5 Mixer: Thursday, August 20, the monthly After-5 business mixer will be held at Simply Spa(278 Town Center Parkway, Suite 101, next to Ross). 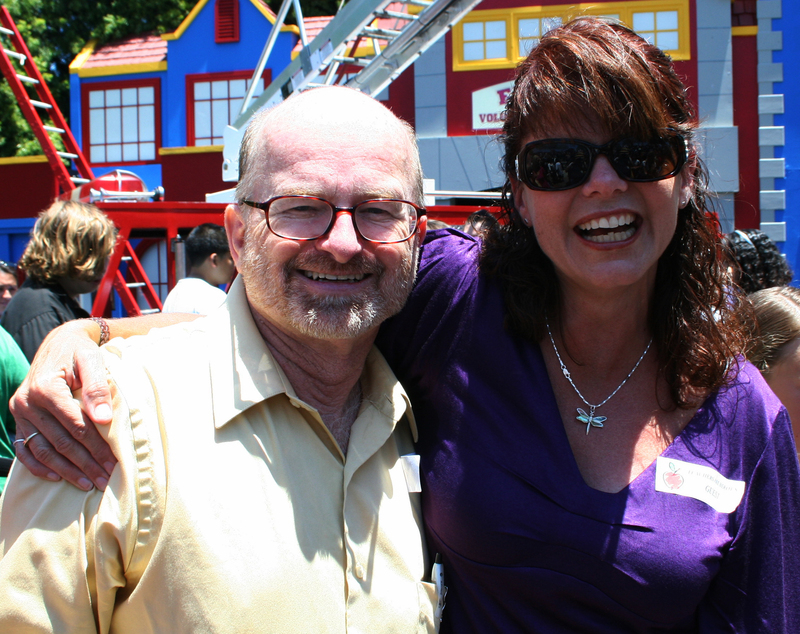 The mixer runs from 5:30-7:30 pm and is a good opportunity to meet business owners from around Santee. Cost is $5 for members and $10 for guests, plus whatever you want to spend for raffle tickets. Frubble Events: This week Frubble will host Karaoke Evening on Thursday, August 20, and Open Mic Night on Friday, August 21. Both events start at 8:00 pm. Frubble is located at 9628 Carlton Hills Blvd., in the Pathways Community Church Center. Mission Trails Regional Park: This week the Park will hold another week-long class called “Creepy Crawlies” for kids 6-10. The class runs from 11:00 am to 2:00 pm, but it may be too late to sign up. Also this week there are Guided Nature Walks on Wednesday, Saturday, and Sunday starting at 9:30 am. 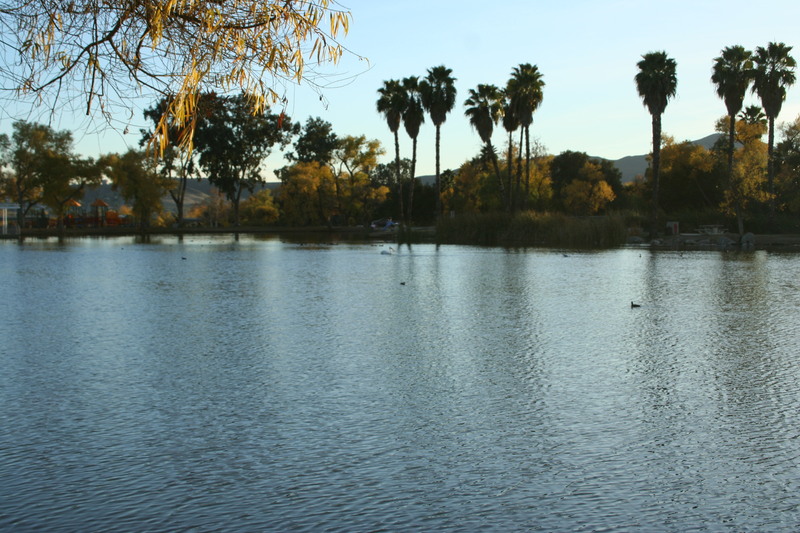 Movies by the Lake: The final movie in the series, Bolt, plays at Santee Lakes on Friday, August 21. You can start setting up around 6:00 pm, games for kids start around 7:00 pm, and the movie starts around 8:00 pm. Cost is $8 per car for parking, so load up the minivan or SUV and head on out. If you have an event you think should be on the list, please let me know and I will update it. Last Thursday, August 6, the Country group Emerald River performed at the weekly Santee Summer Concerts. This is a fun group of musicians who put the “rock” into Country and the “Country” into rock. With a play list that runs from Kenny Chesney, Sarah Evans, and Tim McGraw to Lynard Skynard, BTO, and the Rolling Stones, the group has something for just about everyone. Their music had fans up and dancing through the show. Emerald River is led vocally by Mark Reno, Erin Marie Payne, and Craig Schmidt, with occasional leads by Greg Drilling and Ed Kunold. The combination of voices works well, particularly on the more rocking Country tunes. 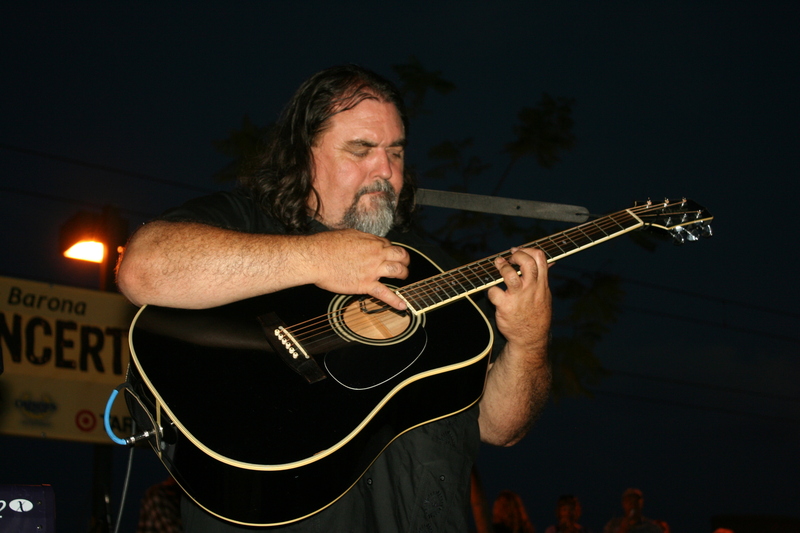 When not singing, Schmidt plays a mean lead guitar, easily covering all styles of music. Drilling’s work on bass and Kunold’s on steel guitar add to the sound of the group. Dan Albright on keyboards and Mike McGhee on percussion keep the beat going and add their own touch to the music. Over the years they have opened for such well-known acts as Pat Green, LeAnn Rimes, and the Mavericks, and listening to them you can see why. The crowd had a good time, dancing and rocking along with the music. Several times impromptu line dances started up, as well as a couple songs specifically played for the line dancers. In between the line dances the style was mostly free-form, although there were several couples who obviously knew what they were doing. One of the highlights of the evening was their closing number – a rousing rendition of Lynard Skynard’s “Sweet Home Alabama” which morphed into a Countrified version of Warren Zevon’s “Werewolves of London,” before returning to Alabama for the big finish. Overall, Emerald River is a fun band – good music, good personalities – and well worth catching at one of their upcoming appearances. 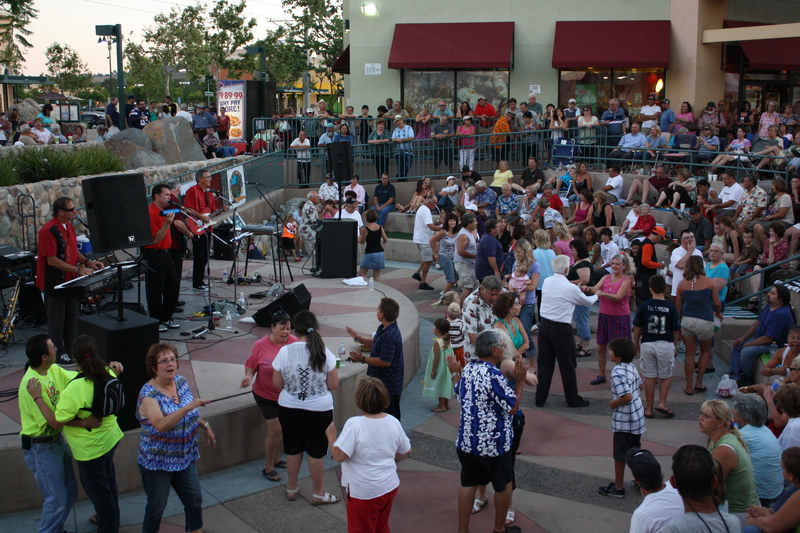 This Thursday the Bayou Brothers bring the sounds of Zydeco to the Summer Concert Series.